Hello Mummies and Daddies of young Princes and Princesses! My name is ‘Princess’ Tina and I’m so excited to make your little one’s dreams come true! I am an enthusiastic and passionate Performing Arts Student (and part-time princess of course!) 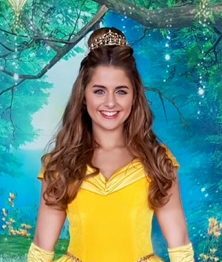 , originally from Dorset (a Kingdom Far Far Away) but now living in Surrey, studying on the Musical Theatre Degree Course at the Guildford School of Acting. I love to Sing, Dance and Act and would love to perform in traditional princess style for your son or daughter! Alongside performing, I adore working with children. I have 3 years of experience teaching Ballet and Jazz to children ages 3+. I absolutely loved this job, seeing the children improve, their faces light up when they learnt a new skill and generally share my love for dance, was so rewarding! I still pinch myself that now, I have the absolute dream job of being a ‘Real Life Princess’ over the weekends! 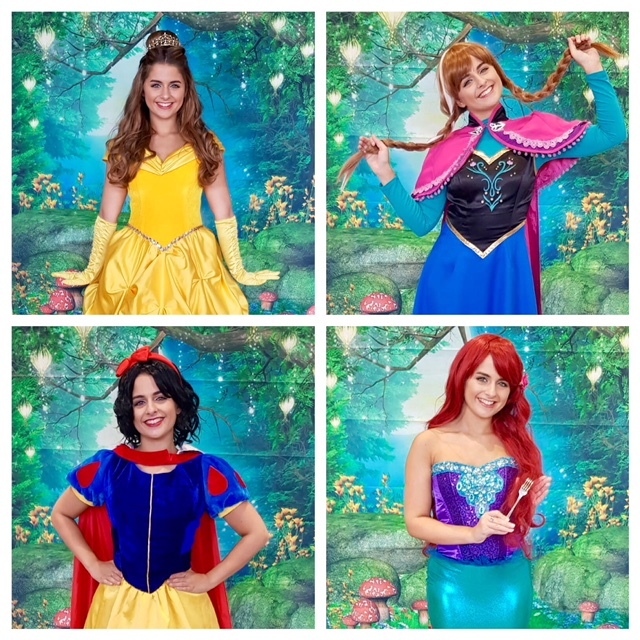 A job that encompasses everything I love- Performing, making children happy and Princesses! I’m still waiting for the clock to strike midnight and then my life will go back to normal! I can guarantee your little one a party filled with… fun, laughter, music, games and of course magic! I promise to always bring 100% enthusiasm and energy to your child’s special day. I want to see them and their friend’s smiling all day long! Hope to see you soon- I cannot wait to meet you!